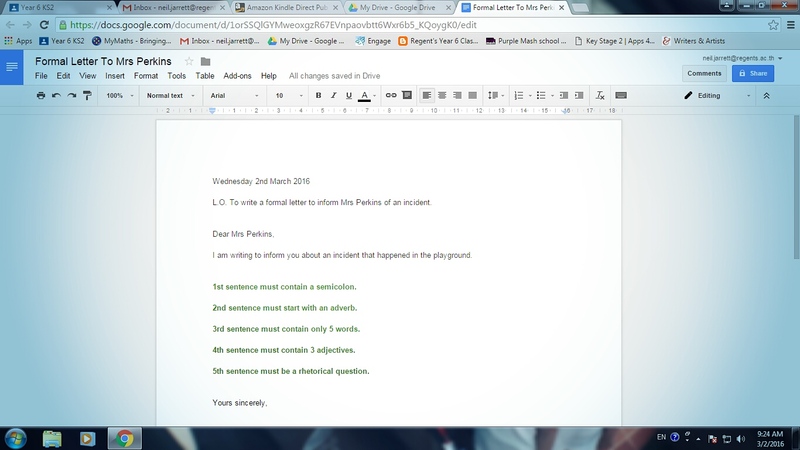 EdTech Tutorial: How to do slow writing using Google Docs. 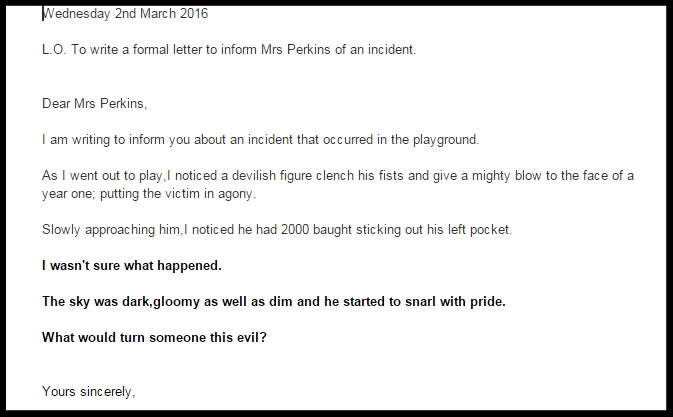 In English lessons, a great technique to use is ‘slow writing’. Slow writing is where you get the students to really think about every step of their composition. You simply put some criteria for each sentence on the board i.e. and the children have to write BUT carefully sticking to the set rules. It allows them to really focus on the quality of their writing; in particular the words they use and their sentence construction. and then use a class management tool i.e. 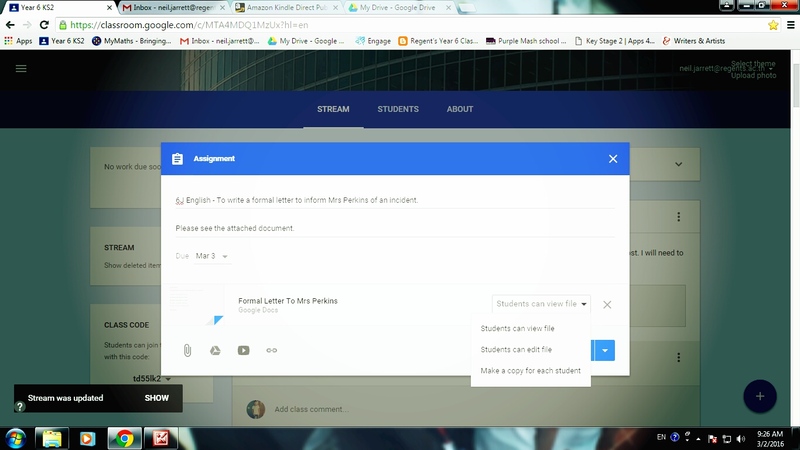 Google Classroom to share it with the pupils. The children can edit the template because they each get a separate copy. The best part is that there is no ‘rubbing out’ whilst checking their sentences when refining their work. How do you find Google Docs? Slow writing? Please let me know. Previous Edtech Tutorial: How to use the App ‘Newsela’ in a guided reading session.